Visa Points to Continued Ramp-Up of Contactless Payment in UK | NFC Times – Near Field Communication and all contactless technology. Visa Europe reports strong growth in contactless payment in the UK, and spending with Visa payWave is likely to surpass the payment scheme's earlier projection of £52 million (US$81.5 million) per month in contactless spending in the UK by the end of the year. 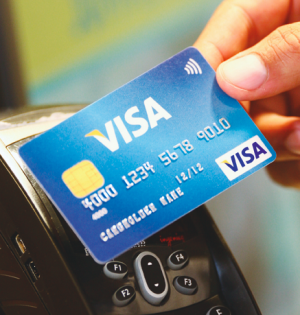 Visa Europe continues to promote its contactless progress, especially the UK market–noting that spending with its Visa payWave application increased five-fold in June. While the spending with contactless remains small compared with total card spending, it signals a ramp-up in the UK and, to a lesser extent, in Europe for Visa. Visa payWave users in the UK conducted 51 million contactless transactions between June 2012 and June 2013, spending a total of £338 million (US$529.5 million). These purchases accounted for roughly a quarter of Europe’s total contactless spending among Visa users of €1.5 billion during the period, and slightly over a quarter of the continent’s 187 million total Visa contactless transactions.